Applying mascara is a daily routine for many women around the world. Most women love what mascara does for their lashes. Even if you're someone who wears little to no makeup, one thing is usually certain; mascara to enhance your eyes. It has a way of bringing attention to the eyes creating thicker, fuller, longer more dramatic lashes. Every day when people apply makeup not many consider the ingredients that go into the composition of everyday cosmetics. For decades everything from eye shadow to blush has had traces of mercury in it. The dangers of mercury have been major topics of conversation over the years. It has been found that high levels of mercury can cause neurological and kidney problems. For the protection of human health and the environment, the United nations Environmental Programme's treaty at The Minamata Convention for Mercury saw over 140 countries sign to reduce and/or ban uses of mercury in several products. Under the treaty some light bulbs, batteries, medical devices and thermometers will be banned. Soaps and cosmetics also fall under the ban however mascara and a few other forms of eye makeup have been excepted. Why? Separating, lengthening, volumizing, curving, plumping. 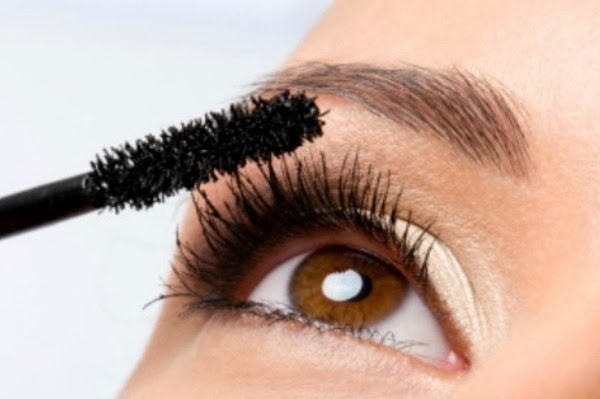 Name it and most mascara manufacturers make a claim they can do it. With dozens of mascara brush options they promise consumers they can make their lash dreams a reality. First of all you may be wondering why mercury is even in your mascara and other cosmetics. Well, it is used as a preservative and to kill germs. Joanna Tempowski, who is a scientist with the World Health Organization's International Program on Chemical safety told the Environmental Health News, "The purpose of the products is to inhibit the growth of bacteria and fungi that could spoil the products and that could infect and damage they eye, so the risk-benefit analysis favours the use of these preservatives." It has long been used to preserve the products for extended periods of time and in the United States the FDA allows it at a level of 65 parts per million. This is considered to be small traces and it is being said that the traces are too low to cause any significant harm. There are alternatives that could be used in cosmetics including formaldehyde and parabens. Although they also have their own side effects they aren't considered to be as toxic as mercury. The ban on mercury doesn't take effect until 2020 and it is being predicted that by then many companies will have already phased it out of their products. But that is not necessarily the case for mascara which, is exempt from the ban. Will consumers be concerned enough about the fact their mascara still contains small traces of mercury? Or will they be willing to take the risk for their beautiful lashes? If the change happens it will be on the account of the people speaking out and boycotting products before corporations take it seriously. Because it is exempt, it is a strong possibility they will continue to use the mercury as an ingredient in mascara. CLICK HERE TO READ MORE ABOUT MERCURY IN COSMETICS.